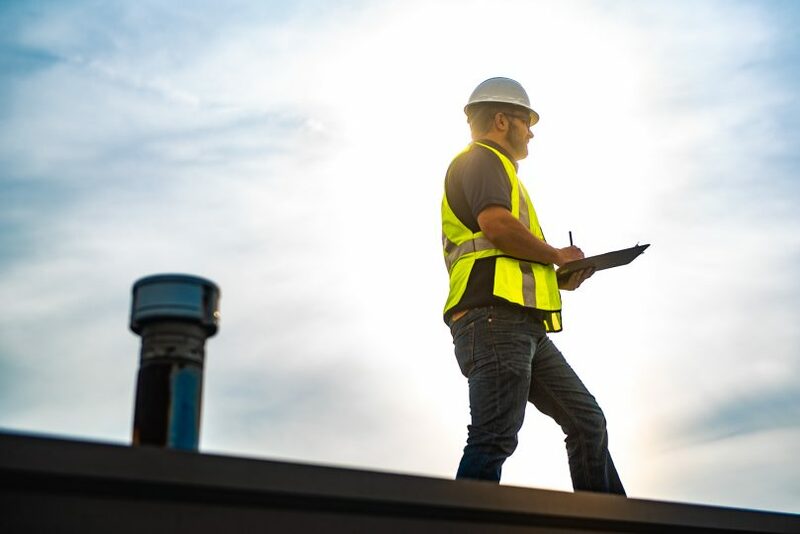 The Roof Insurance claim process is not difficult, but you may not get the full claim you are entitled to unless you use an insurance claim expert. Our claims team know the laws and regulations the adjusters must follow and the line items that are frequently left out, reducing the amount of your claim. Here is a simple step-by-step guide to help you with the roof insurance claim process if you suspect storm damage to your roof. Q: Do you know if your roof has hail or wind damage? Q: Have you noticed your neighbors getting new roofs? ACV – Actual Cash Value. Pays less than the cost of replacement if your roof is older. Replacement minus depreciation. Find a reputable, local roofer that has experienced insurance claim experts who know what insurance companies are liable for and must pay for. Have that roofer come out and inspect for and document damage. If damage exists and it’s more than your deductible – consider filing an insurance claim. Set an appointment to meet with Insurance Adjuster and the roofing insurance claim expert at the property. Get the report from the insurance adjuster and go over it with your roofing companies claim expert line by line, in most cases, additional items can to be added to the claim. Get the first check from the insurance company. Get the second check from insurance company and pay the roofing contractor. CASE #1 New Roof $3,500. Insurance company agreed to only pay $180 for some missing shingles. After our team got involved, the insurance company sent your neighbor $3,500 for a new roof. CASE #2 New roof $12,100. Your neighbor contacted us for a new roof quote. We found storm damage, but they had recently cancelled their policy and changed insurance companies. Our experts were able to get the insurance company to award a check for $12,100 for a new roof. CASE #3 New Roof $16,000. Insurance company DECLINED to pay for storm damage, TWICE! But our team is persistent. We assisted in re-opening the claim and met with the adjuster. The insurance company ended up awarding our client $16,000 for a new roof. EXCEPTIONAL!!! Tyson came out to inspect my roof and I could not ask for a more professional and friendly person. I was expecting to pay for a new roof but his HONESTY and KNOWLEDGE suggested other options. Not only will I use this company in the future, but I highly recommend it to anyone that doesn’t want to feel like just another sale. Thanks again Nashville Roofing Co. Recently our home received storm damage and a new roof was going to be needed. Being fairly new homeowners, we were overwhelmed with where to start and who to chose to replace our roof. After searching reviews for roofing companies, we chose Nashville Roofing Company solely by their reviews and we are so glad we did!! Tyson was so helpful guiding us through the process and answering every question honestly that we asked. His crew showed up exactly when he said they would and got right to work. Once the work was completed, they cleaned up and left hardly a trace of evidence that they were even there!! We also had downspouts and gutter screens put on and we are very pleased with those too! We highly recommend Nashville Roofing Company to anyone who has roofing needs. Think you might have storm damage? If you think your roof is damaged during a storm, contact us. We will come out and look at it, take pictures and give you a full report. We will assist you with the roof insurance claim process and let you know what to say to your insurance agent about the damage. Also, you will also need to ask about their policy regarding the filing of roof insurance claims for storm damage. Your agent will let you know about the procedures and deadlines. If you need help talking to your agent, we can assist you. We will also be glad to meet the adjuster on the roof and point out what we found so you are fully compensated. We can explain to your adjuster, in detail, exactly what damage was found during our inspection and the date of the occurrence. If your roof is leaking, it will need to be repaired or replaced immediately to avoid further damage to the interior of your home. We can get a crew out right away to patch holes with waterproof plywood or a tarp until it can be properly repaired. It’s important to inform your agent of any repairs that need to be made. 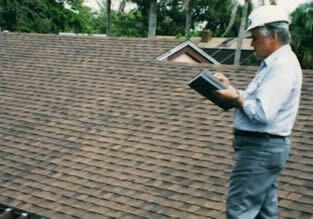 We are experts at the roof insurance claim process and will help you get the maximum claim amount you are entitled to. In most cases, we can get your new roof put on at no cost to you. After you contact your insurance agent, you will be contacted by the department that handles roof insurance claims for storm damage. Then an adjuster will contact you. They will want to see the damage, so we take photos of what we find and will provide them to the insurance company. So they can give you an estimate on the cost of repair or replacement. We are the premier roofing company for roofing services in the Nashville TN area. Proudly serving Nashville, Brentwood, Franklin areas to include Davidson, Williamson counties and surrounding middle Tennessee areas.